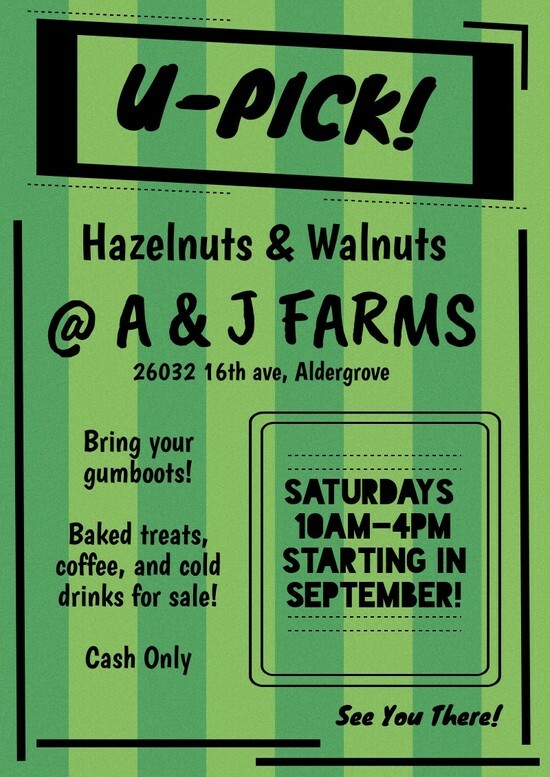 Walnut & Hazelnut U-Pick will be open! Garlic and Fresh Baked Treats for sale! Follow our Instagram @aandjfarms , as well as our Facebook Page: A and J Farms for regular updates and pictures of the farm!